Emanate Design has procured and delivered and installed the workstations , partitions , Shelving , Pin boards, White boards, Credenza units , pedestal draws to desks and Tambour filing units to the Byron central hospital project in late 2015 early 2016 for Brookfield Multiplex. Following completion Emanate was further engaged by BM to procure and deliver, and place additional Hospital seating and tables as a separate package for the client. The emanate management team has been efficient, organised, and highly proficient in the tendering, procurement , accurately invoicing, delivery and installation for the project in a remote location some 800km from their base in Sydney. All items where delivered and installed on time and with exceptional quality, with tradesman and managers that have an excellent knowledge of the furniture industry and products, Health Infrastructure NSW guidelines and expectations and working with a tier 1 head contractor. We would like to extend our thanks to you and the team at Emanate Design for the work delivered at Hall Chadwick during our office relocation in February 2014. Emanate were accommodating to our needs throughout the entire process, from the initial design stage to delivery. They were professional at all times and delivered cost effective, high quality products that have enhanced our workplace. Once again, we thank Emanate for their assistance, and look forward to working with you in the future. The team at Emanate Design offer a highly professional and personalised service and will go out of their way to ensure their client is happy. 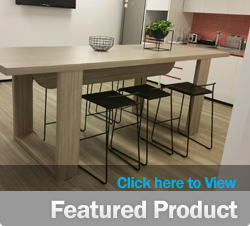 Their product is unique and eye catching and looks fantastic in our new Activity Based Working environment. They were able to meet our specific needs from customised laptop trays and docking stations, height adjustable and standing workstations and a range of workstations that suited our different work zones. Their professional and personalised service continues with their after care service as well where nothing is a problem, they really do go above and beyond the call of duty. I highly recommend Emanate to anyone. The quality of the products Emanate Design manufacture and deliver is excellent. In all the projects undertaken, we have had no problems with the product, delivery, installation or follow-up service from this company. It is the personal attention of the staff, their professional attitude and their detailing in the preconstruction phase that ensures the finished product always meets expectation.